China-based mobile phone manufacturer, Tecno Telecom Limited, exclusively does business in Africa. Last year, the company released the first ‘made in Ethiopia’ smartphone. Tecno vice president, Arif Chowdhury was in Nairobi recently and told How we made it in Africa’s Dinfin Mulupi about the firm’s expansion strategy and its plans to move all of its manufacturing to Africa. How and why did Tecno enter the African market? The company started in 2006 in Hong Kong with our first research and development centre in Shanghai, China. For two years, our business focused on the South Asia market. After studying the markets in South East Asia, Africa and Latin America, we found out that Africa would be the most lucrative market for us. We began operations here in 2008 before eventually stopping our business in Asia to exclusively focus on Africa. Today, Tecno does business in Africa only. We want to be the mobile king of Africa. 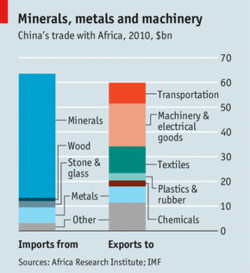 The continent receives a lot of imports but the products are not always modelled to fit demand here. We ensure our products meet the local demand because they are solely produced for the African market. We are present in 12 countries in East, West and Central Africa where we currently control an average of 20% market share in each of the countries. This year we are going to explore the Southern and Northern Africa markets starting with South Africa and Egypt. We are also going to strengthen relations with technology giants both in manufacturing and service provision to ensure quality in products and customer experience. We have no option but to have the best products. You can’t be a failure in Africa and go somewhere else. We have to make it here. The African mobile market is dominated by global giants. How do you intend to become king? Even Tecno is a giant. We fight with them with more localisation and customisation of devices. We are very focused on each of the countries we do business in and their demands. With the right product and communication you can compete with them. The competition is good because it forces all players to bring better devices, better features and better prices. This is the 21st century, anybody and everybody has a chance to make it. Creativity and innovation are, however, important. It is also important to know that just because a firm is successful in Europe does not mean they are guaranteed success in every other market. The question is: what value are they adding to this particular market? The smartphone is the mobile device to watch this year. The prices are coming down and the sales volumes will increase. This is driving mobile internet access, which then opens up a lot of doors for innovation in that space. Studies indicate that most people now access the internet through their mobile phones as opposed to PCs. We are launching more internet series mobile phones to serve the growing demand. Our research from years back shows that the buyers of Tecno phones are mostly the youth and we have decided to [focus] on this market of people aged 17 to 35. The young people want to be unique. They want unique features that allow them to play and chat. Tecno released the first ‘made in Ethiopia’ smartphone last year. Are there any plans to roll out plants in other African countries? We are proud to say that some of the Tecno phones are already ‘made in Africa’. We started a plant in Addis Ababa two year ago and it is doing well so far. We chose Ethiopia because it is unique, looking at it from a strategic point of view. We found Ethiopia’s duty structure to be more attractive. We eventually plan to move our entire production to Africa since this is the only market we serve. We will start with establishing manufacturing plants in Kenya and Nigeria. This will depend highly on a lot of factors like the customs structure and government support we receive. Some African countries are now past 100% mobile penetration. Are you expecting the mobile devices market to start shrinking? For the next five to 10 years, we expect Africa to remain the fastest growing market in the world. For the countries that are past 100% penetration, there is still a market for phone replacement. Most countries are, however, still behind in terms of penetration and we therefore expect new subscribers there. We are confident that the market is still huge, and it will be so for the next couple of years. This is the fastest moving industry. A day in the mobile industry is like a week or month in other industries. We have to constantly launch new products and improve quality and service. The competition here is fierce. The counterfeit phones are also a challenge. Describe the experience you have had while doing business in Africa. People who have not visited Africa have the wrong perception of the continent. The challenges are not as bad as the media makes it appear. If you are sincere with the people, they will support you. No other part in the world has as much resources as Africa.